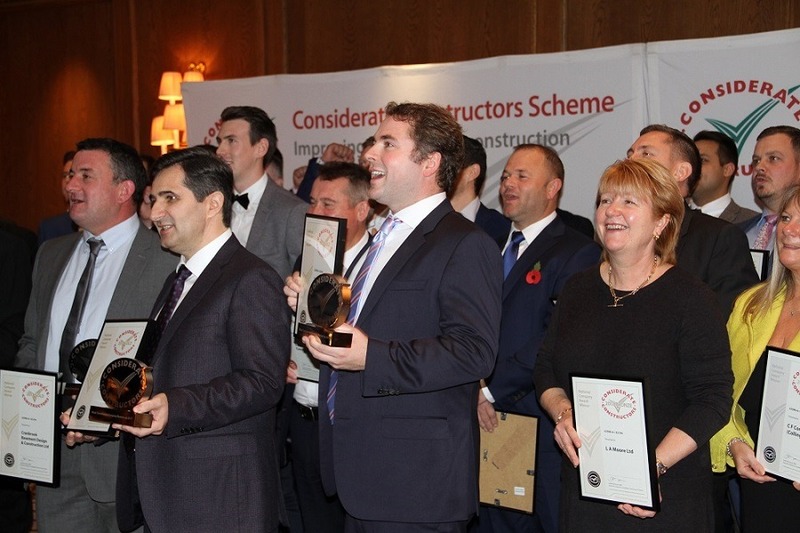 ‘2017 National Company and Suppliers Awards’ by Considerate Constructors Scheme recognise registered companies and suppliers who show extraordinary levels of consideration towards the community, environment and workforce. 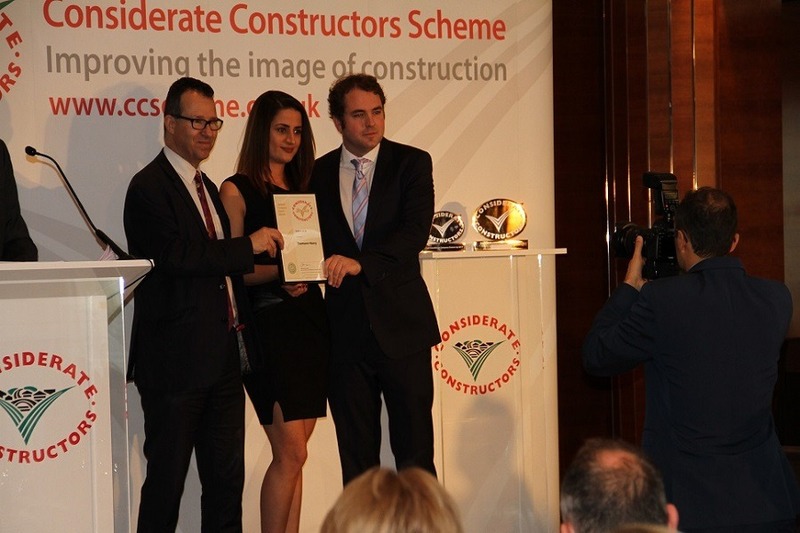 A non-profit, independent organisation founded in 1997 by the construction industry to improve its image, The Considerate Constructors Scheme’s ‘National Company and Suppliers Awards’ recognise registered companies and suppliers who show extraordinary levels of consideration towards their community, environment and workforce. In 2017, Thomann-Hanry® won two awards – National Company Gold Award and Runner-Up. Companies that performed to the highest levels set out by the Code of Considerate Practice receive a Bronze, Silver or Gold Award, presented by an influential line-up of industry leading figures. Runner-Up awards are given to those that have been considered for the ‘Most Considerate’ title. Previously, our commitment as a company towards improvements to our sites was recognised with a Bronze Award in 2015; we were also rated and certified as a company with ‘Performance Beyond Compliance’ in early 2017. As a result, Thomann-Hanry® are now part of an elite group of companies that respect and follow the Code of Conduct to the highest level, helping to raise standards to improve the image of the construction industry across the country. 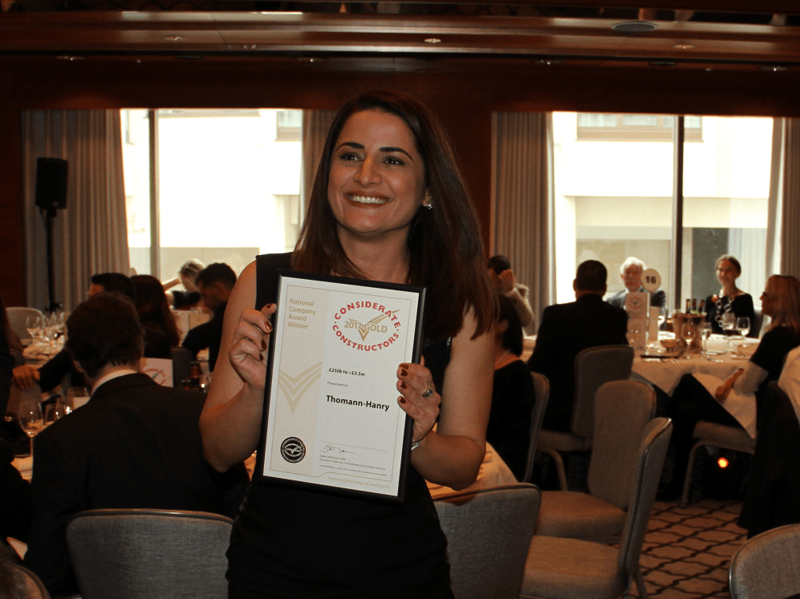 We take great pride in sharing news of our successes and awards with our clients. Read more about awards we’ve won as well as other certificates of excellence for working on prestigious projects around the world here.